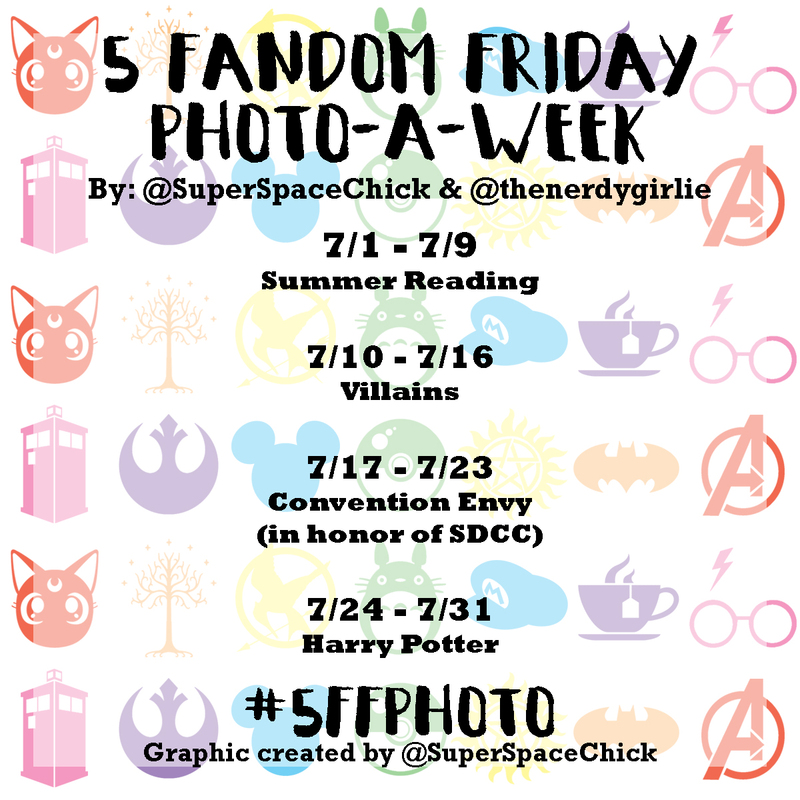 Megan Elvrum: 5 Fandom Photo A Week! 5 Fandom Photo A Week! Super Space Chick and I had such a fun time doing our Fall and Christmas Instagram Challenges that we want to do even more! So for the entire month of July we have picked some topics for you to photograph! July 1-9th - Share with us pictures of your summer reading! Your books, where you are reading them, what you might be drinking with your reads and who you might be reading with! July 10th - 16th - Villains! Fictional...non fictional?! You decide! As a reminder 5 Fandom Friday will be replaced with Harry Potter Month for July. See all the information on Harry Potter Month HERE and can't wait to see your Instagram creations. Don't forget to tag us in your posts and #5FFPhoto! Can't wait to see all the photos!